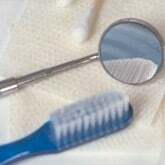 At DentalPlans.com, we make it simple for you to save money on General Dentistry and more at a Woodstock dentist. Just type in your ZIP code now to compare the discount dental plans in Woodstock and view a list of participating dentists. Join the plan that best fits your needs and take advantage of dental care discounts at dentists like Dr. Kevin L Morris. Once you've joined the best dental plan for you, schedule a dental appointment with Dr. Kevin L Morris in Woodstock and get discounts on General Dentistry and more. Our individual and family discount dental plans start at $79.95 per year and $129.95 per year respectively, and will save you money with dental care discounts on services like General Dentistry. If you are looking for an affordable dentist in your area, DentalPlans.com features a wide range of general dentists, oral surgeons, endodontists, and more! So whether you need a dental exam or are suffering from a toothache, cavity, or other dental care issues, you can easily search our huge dentist directory to find Woodstock dentists that offer discounts on General Dentistry and more.